Initially released in 1999, Pokemon Stadium is a strategy video game pitting all the 151 Generation 1 Pokemon into an arena for a fierce battle. 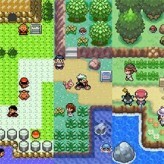 The game features all of the first generation Pokemon that are found in the Game Boy games Pokémon Red, Blue, and Yellow. 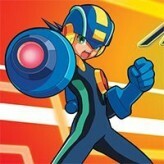 The main objective of the game is to complete the four stadium cups by going through various challenges, mainly in a series of three-on-three Pokemon battles against a pre-determined line-up of opponents. The original Nintendo 64 console version of the game has more functions regarding the other versions and become one of Nintendo 64's best-selling titles of all times. 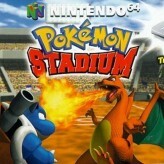 Pokemon Stadium is an online N64 game that you can play at Emulator Online. This free Nintendo 64 game is the United States of America region version for the USA. Pokemon Stadium is a single title from the many strategy games, fighting games and pokemon games offered for this console. If you enjoyed playing this, then you can find similar games in the n64 games category. Pokemon Stadium game is from the various retro games on the site, and there are more games like this, including Pokemon X and Y, Pokemon Stadium 2 and Pokemon Fire Red Version.